Five weeks ago I asked you all to motivate me to finish painting at least one miniature a week to prepare for the Iron Painter 2015 painting competition. This competition is now in full swing and I will be chronicling my journey during the epic quest. Because that challenge is underway I didn’t think I would have time to finish off the last of the five models I presented to you which I wanted to finish in preparation for Iron Painter, but because I was quite wired last night after watching my Detroit Red Wings clinch their 24th consecutive playoff appearance I finished off that final model. 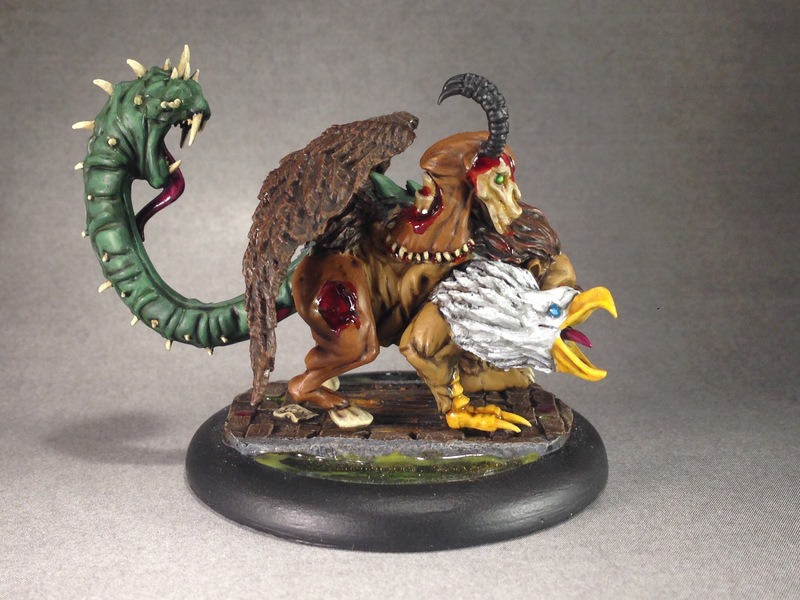 This disturbing mass of miss-matched body parts is the Rogue Necromancy from Malifaux! 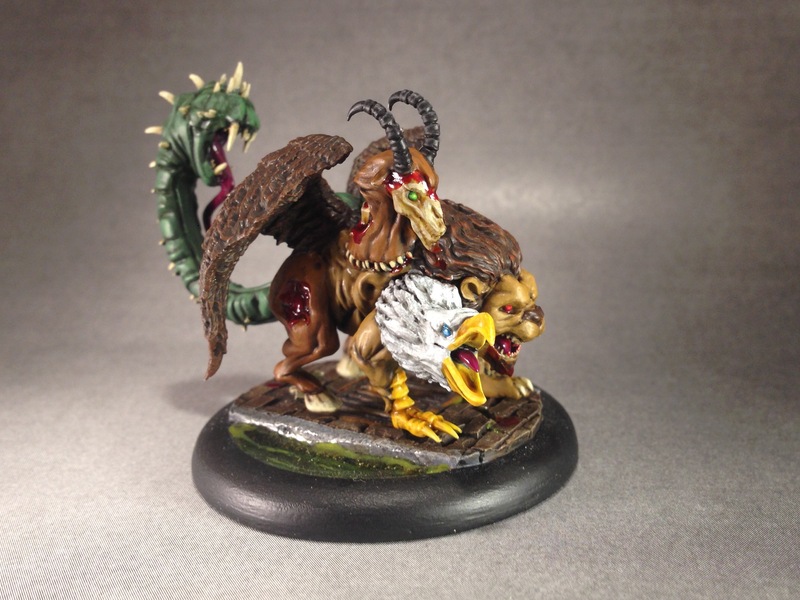 The Rogue Necromancy is the first Resurectionist model I have painted for Malifaux; as this isn’t any of the factions I have previously presented to you, you might be asking yourself why I painted it. 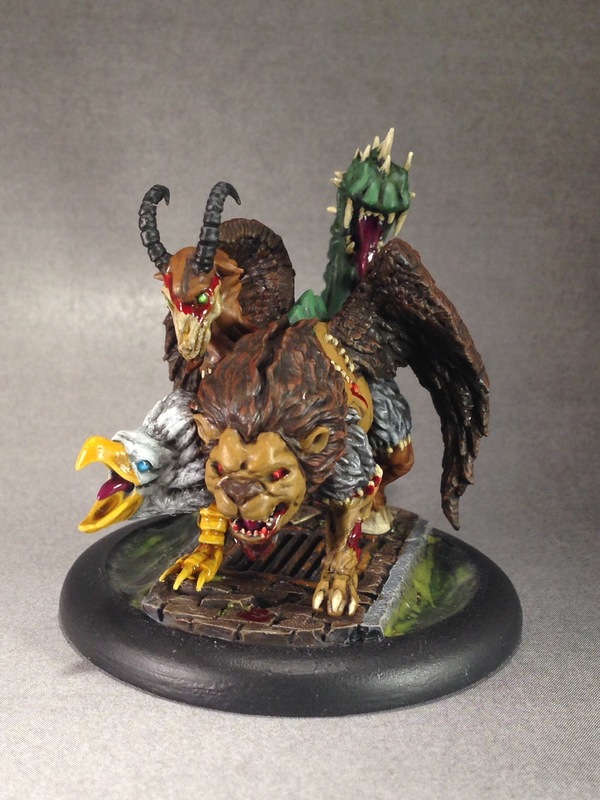 It’s because the Rogue Necromancy is a beast (or at least used to be several different beasts that got stitched together) and that means that my Arcanist beastmaster Marcus can bring him along as the latest addition to his menagerie! While I feel like the heads of this beast were slightly disproportionate to the body, I am really happy with how it came out. He will definitely be hitting the table the next time Marcus comes out to play!